Rocket Lab sent its third Electron rocket into orbit on the company’s first fully-commercial mission. Called “It’s Business Time,” the flight successfully took to the skies from Launch Complex 1 on the Mahia Peninsula in New Zealand. Liftoff took place at 4:50 p.m. New Zealand time Nov. 11 (10:50 p.m. EST Nov. 10 / 03:50 GMT Nov. 11), 2018, which was about 50 minutes into the 4-hour launch window. About 2.5 minutes into the flight, the first stage separated successfully and the second stage ignited properly to bring the satellites into low-Earth orbit (LEO). About 3 minutes into the flight, the carbon-composite payload fairing separated correctly. The vehicle reached orbit about 9 minutes after liftoff. The payloads were brought to a 186-mile (300-kilometer) by 310-mile (500-kilometer) parking orbit at 85 degrees. Some 40 minutes later, the orbit was circularized to a 310-mile (500-kilometer) by 310-mile (500-kilometer) orbit using Rocket Lab’s apogee kick stage, powered by the company’s 3D-printed liquid-propellant-powered Curie engine. The first stage of the Electron rocket is powered by nine of the company’s Rutherford engines, and the second stage uses a variant of the same engine that is optimized for the vacuum of space. Nearly all of the components of the Electron are made in-house, and the company uses additive manufacturing for all of the engine’s primary components, making it possible to build an entire engine in three days. Liquid oxygen and RP-1, or highly refined kerosene, fuel each Rutherford. The engine’s carbon-composite tanks were specially designed to be compatible with the liquid oxygen. The turbopump uses brushless DC motors and high-performance lithium polymer batteries instead of gas turbines, so the design is simpler thermodynamically and is possible to modify via software. This mission was originally scheduled to launch between April 20 and May 3 of 2018. However, the pad team discovered anomalous behavior in the motor controller during a wet dress rehearsal, so the company chose to move the launch window in order to have more time to review the data and address it as necessary. The next 14-day launch window opened on June 23, 2018, and was supposed to stay open until July 6, but during pre-launch checks on June 27, similar issues with the motor controller appeared, and again the company decided to stand down from the launch window to review the data and attempt to correct the problem. “It’s Business Time” put a total of seven payloads in orbit, including a GeoOptics Inc. satellite, built by Tyvak Nano-Satellite Systems, and two Lemur-2 satellites from Spire Global, who also launched with Rocket Lab on its “Still Testing” flight in January this year. 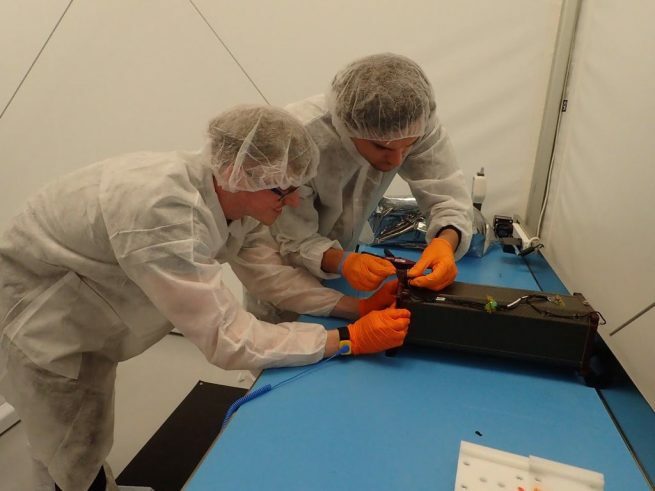 Every Lemur satellite is essentially the same, with ship tracking and weather monitoring technology, but these new Lemurs also add an antenna and sensor for tracking aircraft. It’s especially important for areas of the world where the current tracking ability is limited. For Spire to get where they want to be, an additional 50 satellites are needed. They can manufacture about two per week, all out of its Glasgow office. There are also variations between subsequent Lemur-2 satellites because technology advances between flights, and Spire updates the satellite design accordingly. The company had specific reasons for choosing Rocket Lab. Other companies seem to agree. In the interim between the first and second planned launch windows, new customers joined the manifest for this launch. One is Irvine01, the pilot mission for the Irvine CubeSat Program, a STEM educational program that includes members from six public high schools in Irvine, California. The second new payload is NABEO, a drag sail technology demonstrator designed and built by High Performance Space Structure Systems GmBH (HPS GmbH). 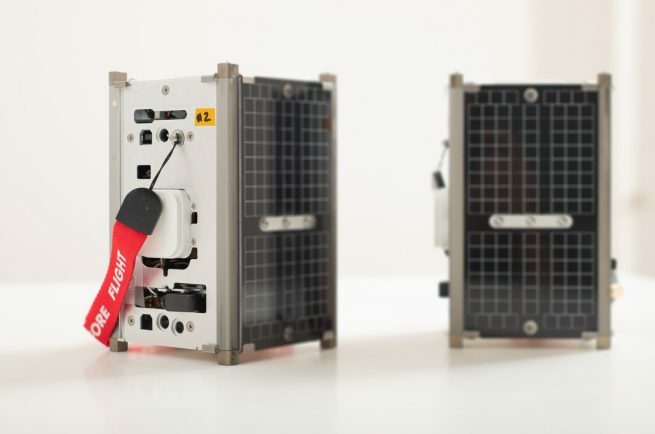 Finally, only weeks before launch, Fleet Space Technologies joined the manifest with two CubeSats. The Australia-based “internet of things” (IoT) startup will use the two Fleet-built Proxima satellites as the beginning of a constellation designed to provide internet connectivity for millions of devices across the globe. Peter Beck of New Zealand founded Rocket Lab in 2006, and the company has remained focused on the small-satellite market, making frequent launches a priority. The goal is to make space accessible. 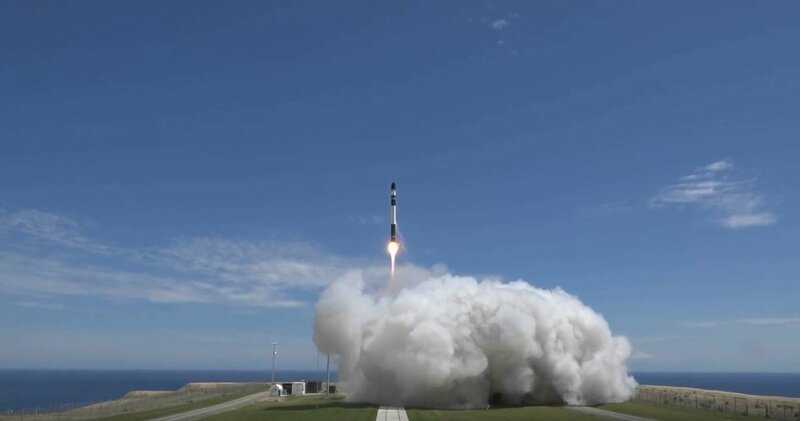 With “It’s Business Time,” according to the company, Rocket Lab has made the fastest transition of any private launch provider so far from just having a test program to launching fully commercial flights. The Electron’s first test flight, called “It’s a Test,” took place on May 25, 2017. The rocket successfully made it to space, but did not achieve orbit. Due to a data loss time-out, the flight was terminated early. 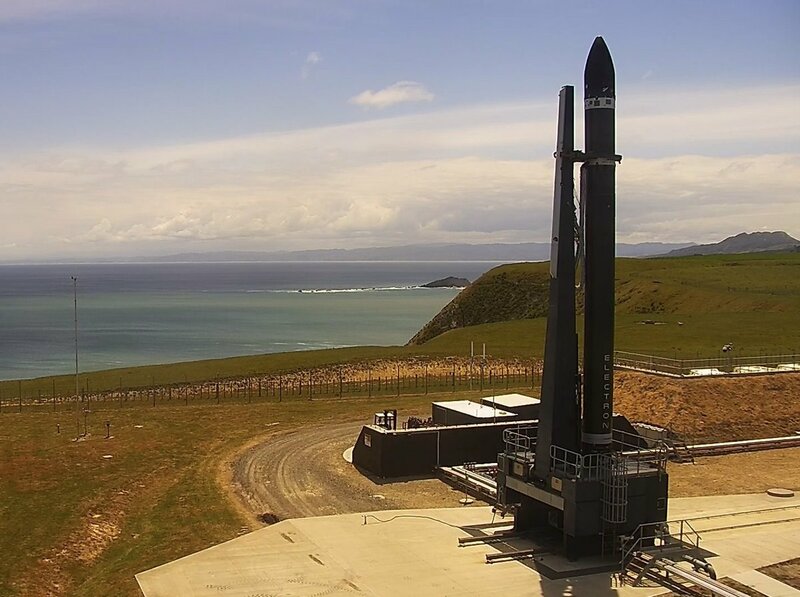 Rocket Lab attributed the issue to a problem with a third-party contractor’s telemetry equipment. The second test flight, “Still Testing,” occurred on Jan. 21, 2018, and achieved orbit as expected after weeks of scrubs. That flight brought three commercial satellites into orbit, as well as the controversial “Humanity Star”, a shiny satellite designed to draw spectators’ attention up toward the stars and create a shared experience for humanity, though it deorbited about seven months earlier than planned.